Childhood literacy is the focus of many summer reading programs and rightfully so. But as with most endeavors involving kids, getting parents and caregivers involved and invested in the process of learning only helps. And, as the Fort Worth Library has discovered through Families Reading Together, the benefits to summer reading transcend generations. 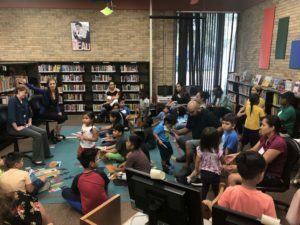 “Families Reading Together is special because what we do is a little bit different than what they do in school,” said Olivia Todd, a youth programming librarian with the Fort Worth Library. “In school, it’s the children and the teacher. Fort Worth Library’s Families Reading Together, which partnered with Read Fort Worth as part of the Summer Scholars Cohort series, is a free five-week program that promotes a love of reading and family quality time while enhancing reading comprehension and early learning skills. The program takes place at libraries throughout the system, including the Riverside Library location coordinated by Todd. 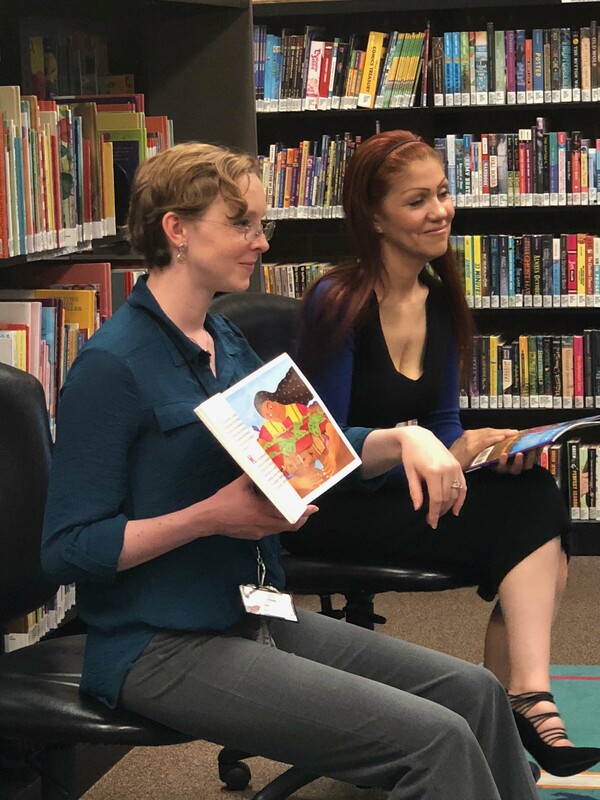 Todd described the program as a social and emotional development project, with all the families that participated on Wednesday nights reading the same story. Watching the reactions and emotions play across the faces of the young readers, as well as their parents/caregivers, is just as rewarding. “That’s what’s super important,” Todd said. Getting an emotional investment in each story is key for parents and caregivers. “If you don’t like a story and you’re just reading it, kids know instantly and they’re not going to connect with it either,” Todd said. Todd mentioned the use of picture books, which have visuals cues, such as colors and shapes for the kids, in addition to the written story for adults. The relaxed and informal discussions following the readings do focus on the lessons learned, as well as examinations of other issues and subjects raised by the book. This focus is essential in the attempted to curb the “summer slide,” as children often find themselves in new routines that may disrupt the patterns of learning set throughout the school year. One of the goals is to engage their minds in these group settings to stimulate learning. “We help reinforce those skills they may not work as hard on in summer,” Todd said. Miguel Arellano attended the Riverside sessions with his kids. As an immigrant whose primary language was Spanish, Miguel found that reading at an early age helped him learn English. He’s passed along that love to his children. 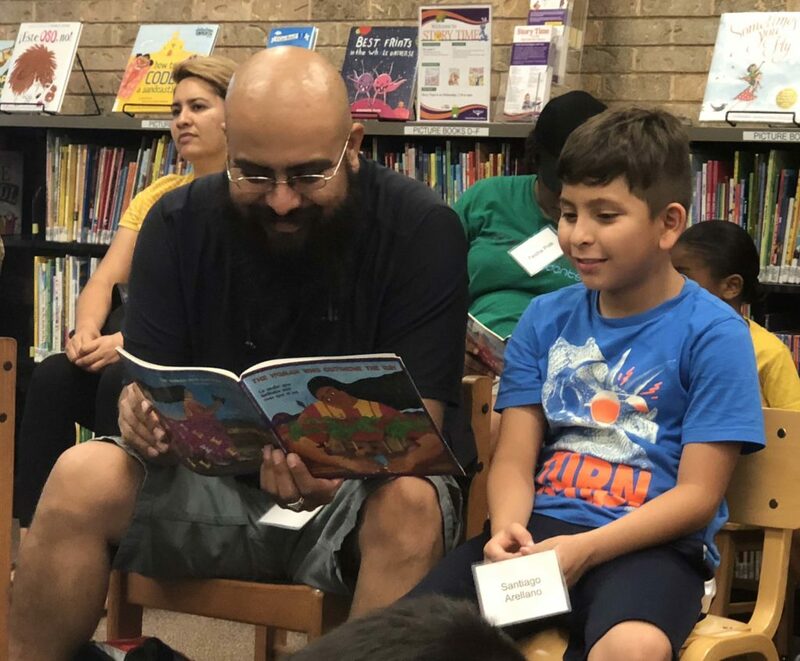 “Just put in the time in to read at an early age with your child and really encourage trying to enjoy stories,” Miguel said. Miguel started with books that caught his son Santiago’s attention, such as the Diary of a Wimpy Kid and Harry Potter series. Anything that would keep Santiago entertained, as long as he got something constructive out of each book. “We would read almost every day before I would go to bed,” Santiago said. Those are the connections Todd hopes Families Reading Together continues to make. 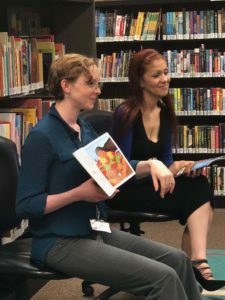 “This is equipping the entire family with these emotional tools to talk to each other and to connect books with real life,” she said. This FREE five-week program promotes a love of reading and family quality time while enhancing reading comprehension and early learning skills. Gift cards are provided to families who attend four of the five weekly sessions at one location. A light snack or meal is provided at each session. Registration is required. Call 817-392-7745. This program is cosponsored with The Fort Worth Public Library Foundation.